Mark Lawrenson is backing Manchester City to claim a 2-0 win over Arsenal in their Premier League opener on Sunday. The Gunners are preparing to welcome the Citizens to The Emirates this weekend as they look to try and make a positive start to life under new manager Unai Emery. The north London side signed five new players as they moved swiftly to bring Emery in as the club’s new boss back in May after Arsene Wenger decided to step down at the end of last season. Manchester City, meanwhile, will be aiming to kick off their new campaign with a positive result after their stunning form last season. The Citizens won the Premier League title with a record points tally as Pep Guardiola’s men dominated the English top flight. And former Liverpool FC man Lawrenson is backing the Citizens to claim all three points when they travel to north London this weekend. Speaking in an interview with BBC Sport, Lawrenson said: “What a game this is to start the season for both teams. 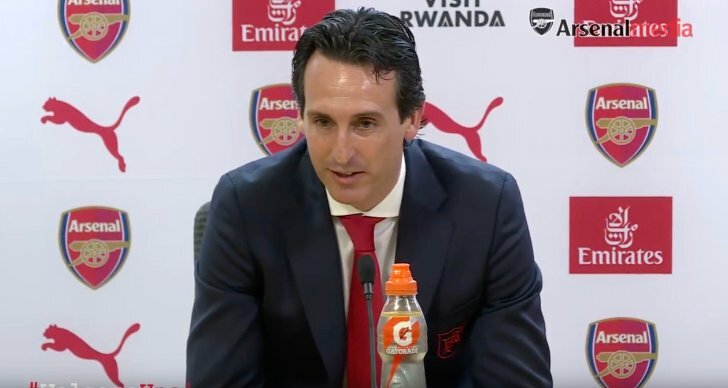 “New Arsenal manager Unai Emery might not have made any really big stand-out signings, but, with the players he has brought in, I think he has addressed the fact that they have been weak defensively through the middle of midfield and at the back. “But while Emery might not work out his best team for a few weeks, we know all about City – who looked very smooth in their win over Chelsea in the Community Shield last weekend. “City should win this game too, but Emery deserves time to work things out and by that I mean longer than the first few weeks of the season when his side also play Chelsea (away), West Ham (home) and Cardiff (away). The north London side finished in sixth place in the Premier League table last term and without a trophy.